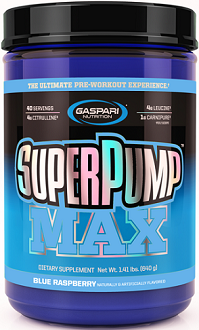 The following is a review for a dietary supplement called Mutant Pump Insane Pump Supplement. 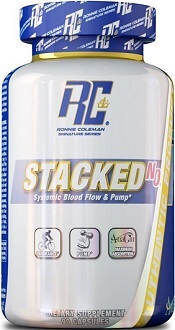 This product is a vasodilating supplement that increases blood flow to the muscles. When there is more blood going to your muscles you are able to train harder without any of the side effects of fatigue, which usually accompanies an intense workout. In addition, this product is designed to give the user the feeling that their muscles are working at maximum capacity and that their muscles are pumped. 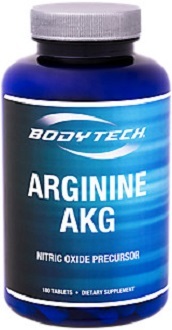 When used in conjunction with a proper diet and exercise plan this product may help you gain more muscle. Our research seems to indicate that this is a relatively good list of ingredients for a pre-workout supplement. However, we believe that this product lacks various key ingredients that are included in similar products. We were also concerned about the fact that the manufacturer does not provide any information regarding the composition of the capsule. Therefore, we recommend that people with allergies or special dietary needs avoid this supplement. According to the manufacturer, one serving size of this supplement is seven capsules. They recommend that you take one serving 20 – 30 minutes before you begin a workout. Unfortunately, the manufacturer does not indicate whether you should be using this product on an empty stomach or with a meal. This information is very important as the contents of your stomach could influence your body’s absorption of this supplement. We were also rather concerned that the manufacturers gave no indication of a maximum dosage for this supplement. This supplement has vasodilating features, which means an accidental overdose could have serious impacts on your health. Unfortunately, we had a very difficult time accessing the manufacturer’s online store. We were, however, able to find this product on a variety of other online stores. 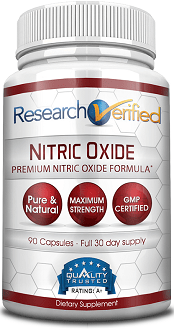 You can buy this supplement for around $33.91 for a bottle that contains 154 capsules. After a considerable search, we were unable to find any information regarding guarantees that are available for this product. This is quite concerning as it indicates a lack of confidence in their product. Additionally, it does not seem that there are any return or refund policies in place. This means that if you are at all unhappy with this product you will have no choice but to keep it. 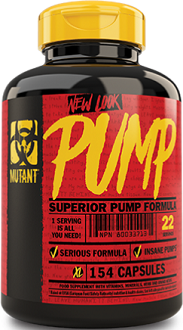 This review for Mutant Pump Insane Pump Supplement found that it was a rather good product. The instructions provided by the manufacturer are quite clear and the supplement contains a good blend of vitamins and minerals. Unfortunately, we were concerned about the lack of information regarding additional preservatives, fillers and binders included in this product. We were also quite alarmed to discover that there is no guarantee, which means that once you buy this supplement you are stuck with it.